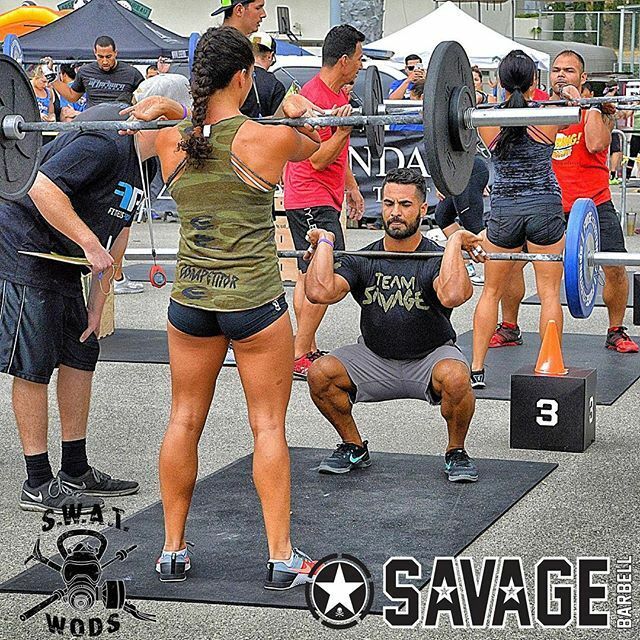 Why do a CrossFit competition? I mean, you waste all day (usually a Saturday), getting up early, working out all day, and dragging yourself home to a shower and bed at night. The next day you’re sore as hell. You don’t want to do anything. But life doesn’t stop because you decided to beat yourself up (and most people don’t sympathize with you for this exact reason). The answer: Because in a CrossFit competition you will do things you wouldn’t do otherwise (especially if you have a partner). You wouldn’t do them in a typical WOD in your box. Or ever. But because you’re competing and/or you don’t want to let your teammate(s) down, you push yourself and you do it. It’s the same reason you sign up for the Open. You will be forced to do things you would never do otherwise. The feeling is indescribable. What you can accomplish that you never thought possible. You will reap the rewards of this in all aspects of your daily life outside of CrossFit. What this does for the mind is incalculable. One example from my last competition to drive home the point: In 8 minutes, we had to do 30 sec max effort on the assault bike for calories and then the rest of the time to do as many back squats as possible. I gave myself 5 minutes for the back squats. My goal: 50. What I actually did: 81. I would NEVER–I REPEAT–NEVER have done this if I hadn’t wanted to win the competition. I won the event. I was super proud of myself. And my confidence went through the roof. My idea of what my body could do also skyrocketed. So do it! Go and sign up! Trust me, you’ll be glad you did. And the bonus: you’ll have an insane amount of fun!! !